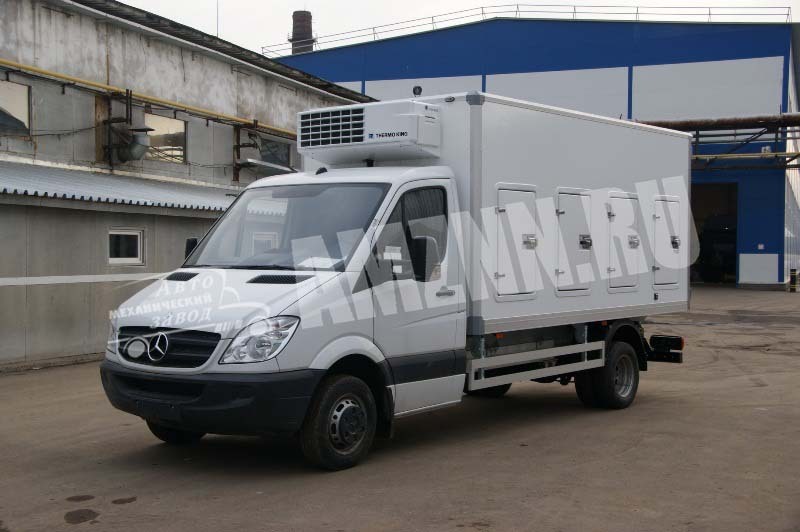 After its premiere at COMTRANS-2010 exhibition we are proud to present our new motor-van based on the chassis of Mercedes-Benz 515 CDI and designed for city transportation of frozen food requiring temperature conditions as low as —25 degrees centigrade and suitable for frequent doors opening. 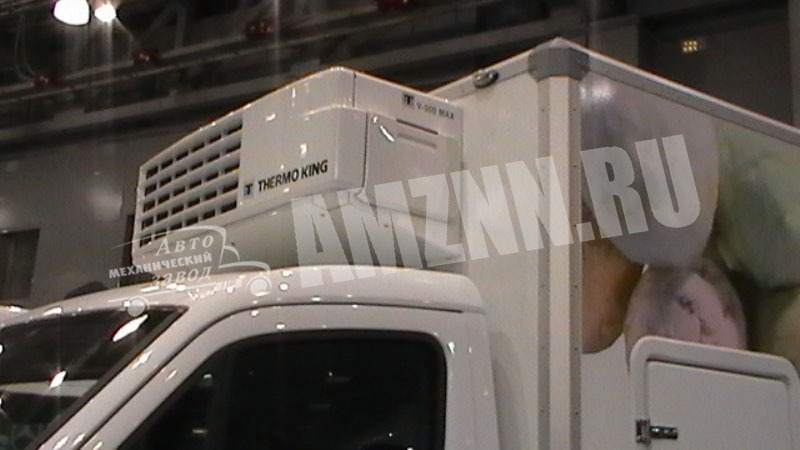 Required temperature mode is maintained by Thermo-King refrigeration unit, which quickly makes up for the leaks of cold air when loading and unloading and by the special structure of the van. 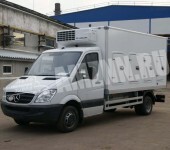 The body of the van is much lighter and thus it can carry more. No heat bridges between the inner and outer surfaces and thus the thermal passage is lower. 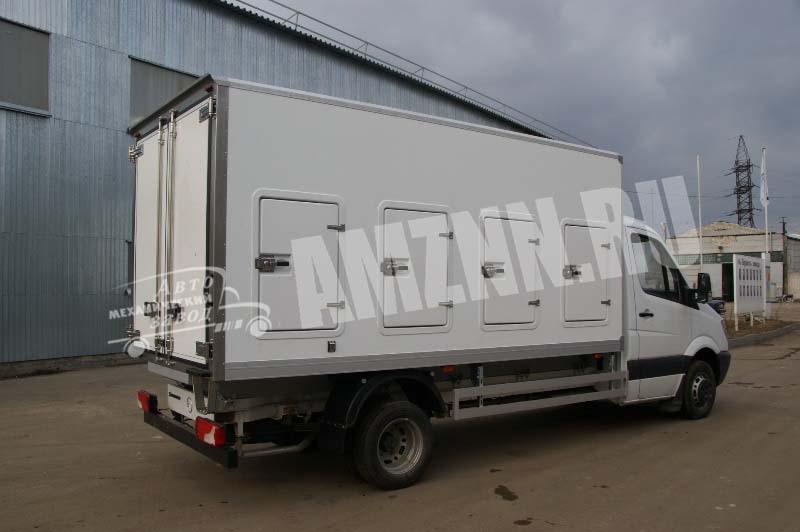 Materials used in the production of this van are compliant with the most rigorous requirements in van-building: durability, stainlessness, pleasant appearance. 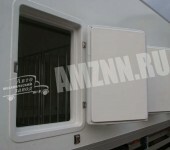 Sides of the van have several solid plastic doors with portals. 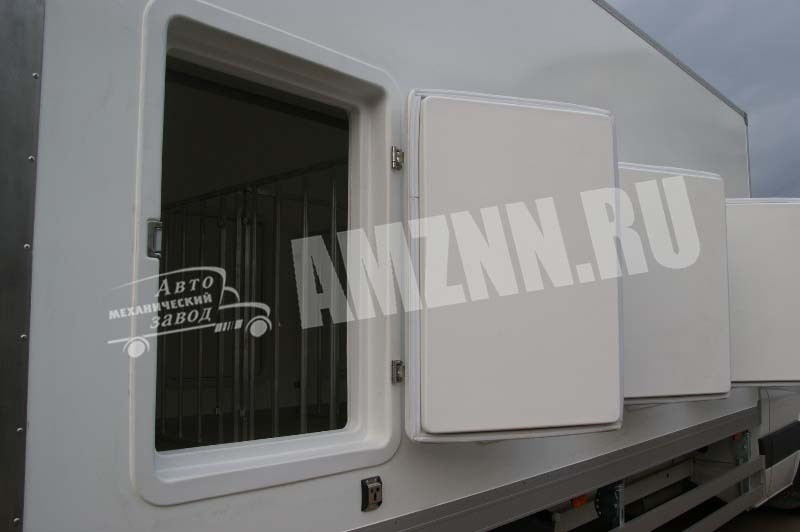 These doors are made of special freeze and shock resistant material. 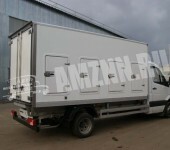 In combination with polyurethane foam it allows to achieve low thermal passage of 0.025—0.035 W/m. 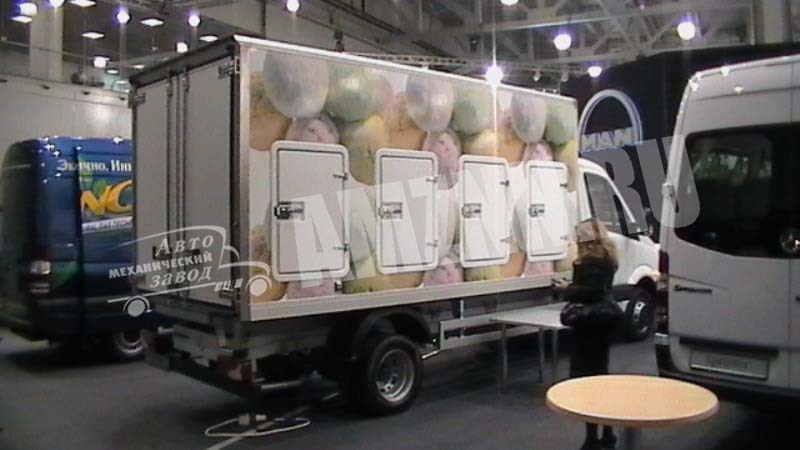 The main advantage of this kind of ‘plastic composition’ is the significant growth of insulating qualities of the van that in general brings the number of heat bridges to complete minimum and reduces the load of installed refrigerating equipment. 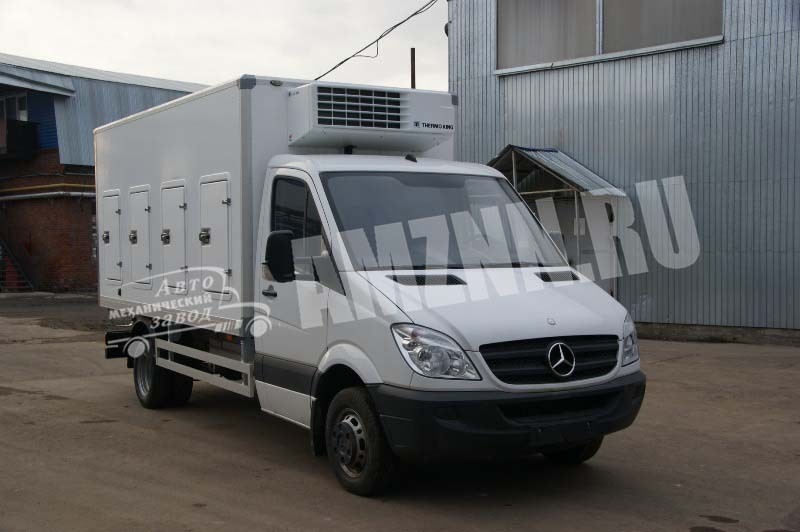 The inner space of the van is divided into three sections with lightweight grills made of aluminum alloy. 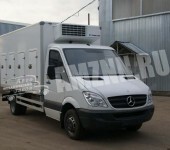 They prevent the cargo from displacement and allow to sort different types of goods. 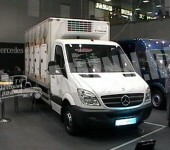 When necessary these grills can be quickly and easily removed, which allows to utilize the entire volume of the van. 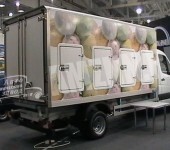 Hinged backdoors make loading and unloading even easier. 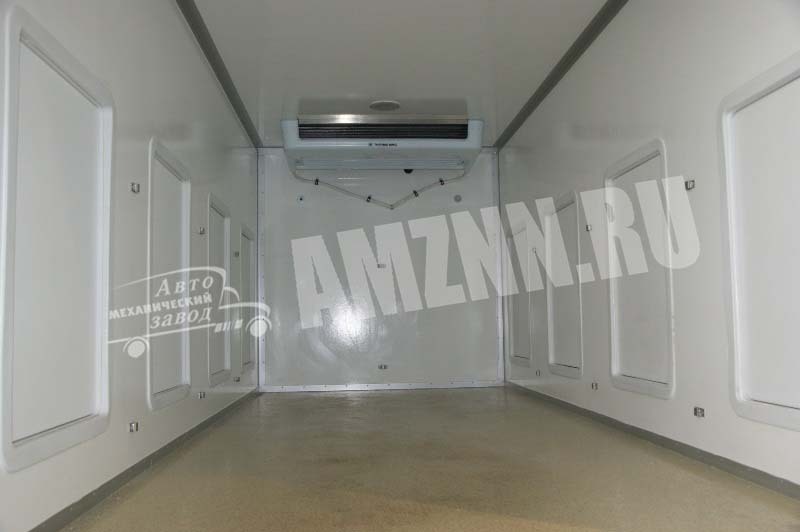 All doors are equipped with imported stainless steel fixtures. 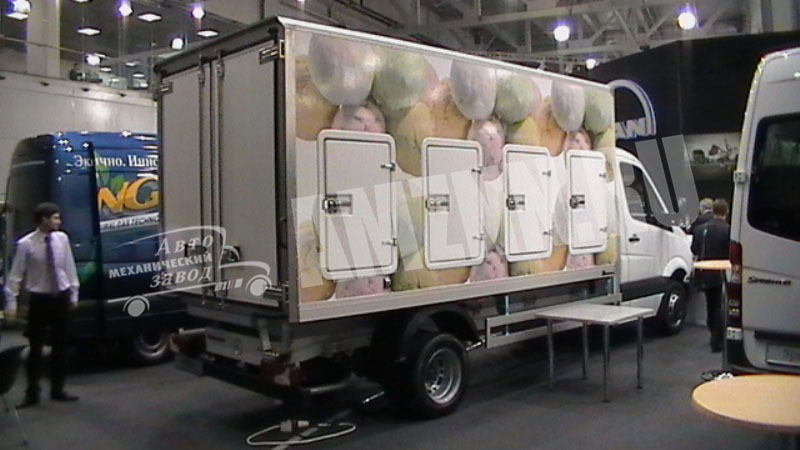 You can read about the participation of AVTOMECHANICHISKIZAVOD Company in COMTRANS-2010 10th Anniversary International Exhibition in Crocus Expo International Exhibition Centre in a news article. 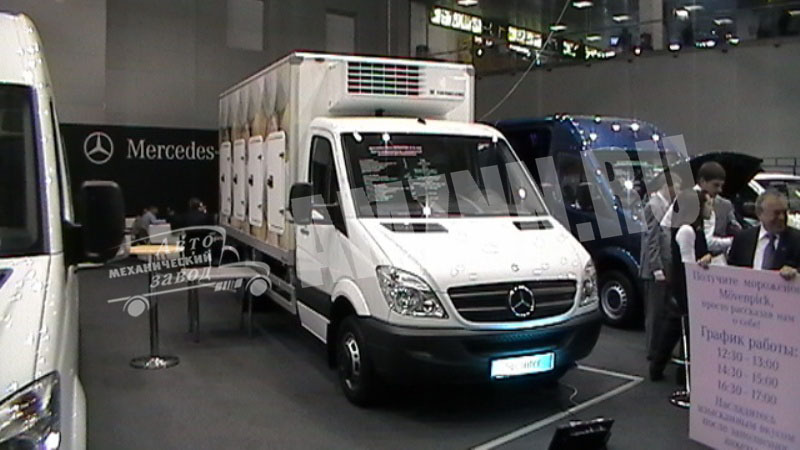 If you want to learn more about our products -call our toll-free multiline desk 8-800-700-2690 or send us a message.